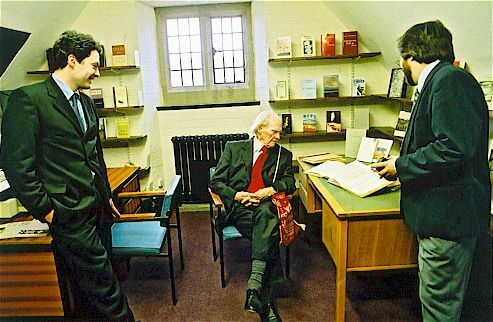 The Centre had its germ in an idea of Professor Gwyn Thomas, following the appointment in 1998 of R.S. Thomas to an honorary chair in the Welsh Department at University of Wales, Bangor. The idea was developed in collaboration by Jason Walford Davies of the Welsh Department and Tony Brown of the English Department. Financial support for the refurbishment and equipping of an appropriate room in the Main Library was given by the University Research Committee and the Humanities Research Centre. Work was completed in 1999 and the Centre was officially opened by R.S. Thomas in April 2000.